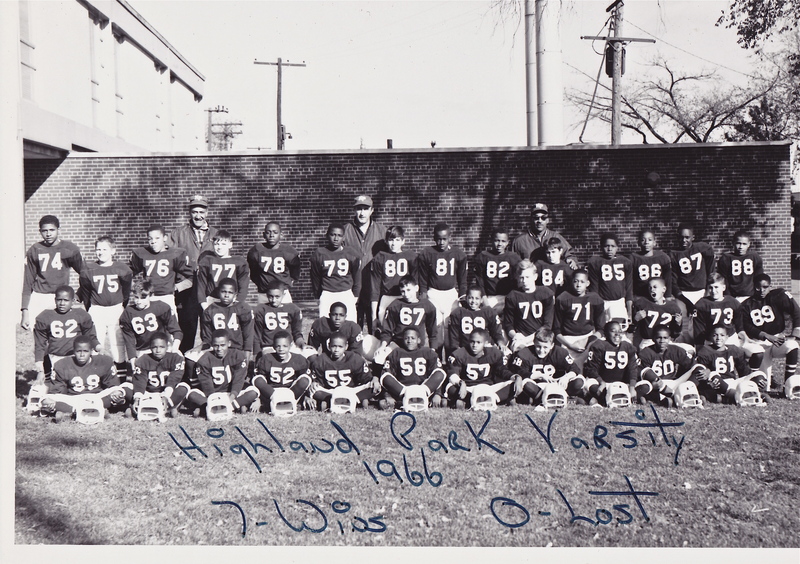 This entry was posted in Highland Park Memories, People of Highland Park and tagged Bart Starr, Detroit Lion, Ford Field, Gail Cogdill, Highland Park Chargers, Highland Park Polar Cubs, Jr., Little League Football, Mark Storen, National Football League, NFL, Pat Studstill, The Michigan Chronicle, Yale Lary by markjemilbooth. Bookmark the permalink. Great team photos and memories! Enjoyed this article. 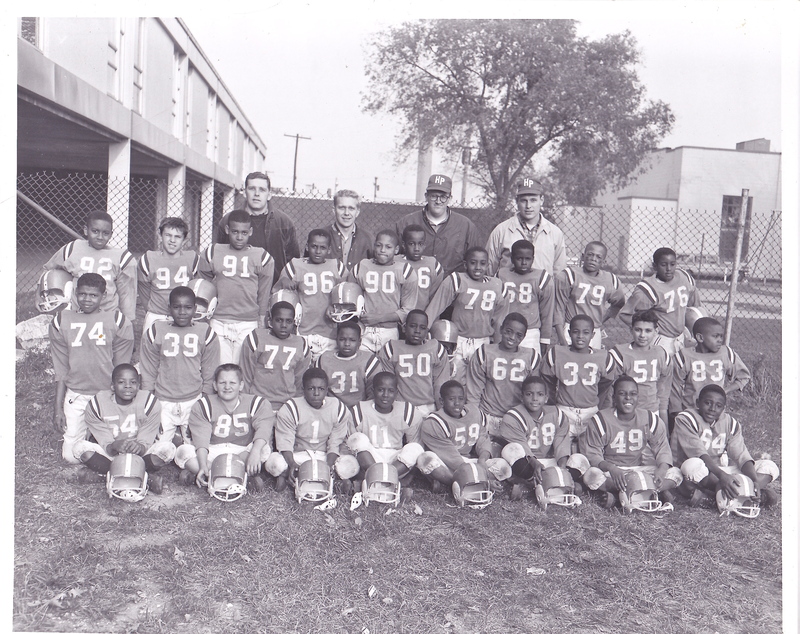 I played for the North East Detroit Shamrocks fron 1963 through 1965. Everything you described in your article we also did. It brought back some great memories. Thanks for reading this post! I don’t remember all the teams that we played, but I do remember on the box of Sanders chocolate, it had flags with the names of many of the teams. I remember Garden City because the game was night. It felt big time to me. Great story! I remember those names of Lions players back then. The “Mr. Walker” you sold candy to – was he the band director at Barber and orchestra director at HPHS? I think he and his family stayed near Ford Field. If Mr. Walker was, I never knew it. I would cut through his backyard every day for practice. He lived on Ferris halfway between Oakland and Brush. He was always real nice to me. I just came across this site and almost fell out of my chair. 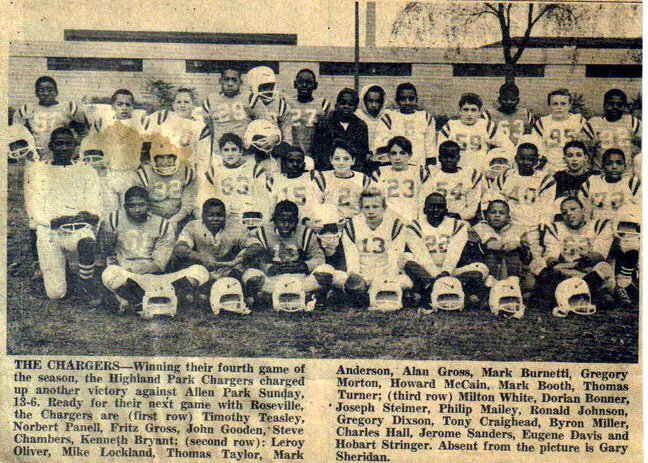 I was one of the organizers of HP Little League Football and became Field Manager for the 6 teams, The Thunderbird’s and the Chargers, from Freshman, JV and Varsity…….it was one of the finest endeavors for the kids ever taken in HP and the entire city supported it. I still keep in contact with one of the coaches, Joe (Fuzz) Abbott. Thanks for reading my post. Yes, I enjoyed my four years of playing Little League football. My Dad was on the force with Mark Storen, his name is Charles Hackney of course he’s retired now but we loved being picked up and dropped off to school in the squad car. Man I just love reading your blog it takes me back to a time when things were simple and our fair city was one of the greatest places to live work and play. My older brother played for the Chargers too.